Mobile Messenger App For Texting Messages To Friends. 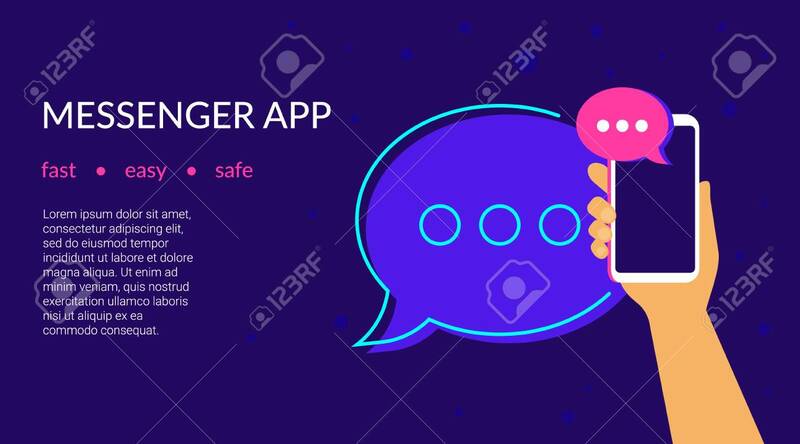 Concept Flat Neon Vector Illustration Of Human Hand Holds Smartphone With Speech Bubble On Application For Texting, Sharing News And Community Lizenzfrei Nutzbare Vektorgrafiken, Clip Arts, Illustrationen. Image 104432891.